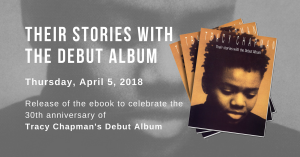 Tracy Chapman is glad to be pushing 40. “I’m liking this part of my life,” says the 39-year-old folk-singer-songwriter, who performs at the Beacon Theatre tonight. “It’s funny that our culture is so obsessed with youth. Chapman hit fast after a Tufts University classmate’s father helped her get a record deal. Her 1988 self-titled, socially conscious debut album, with the hit “Fast Car,” won four Grammys, including Best New Artist. “I don’t know if having that much success so early on taught me anything except that it’s important to take time off to learn new things and be exposed to new experiences,” she says. Though her material now leans towards personal rather than political themes, Chapman still links favorite causes with her music. She brings Rock the Vote registration tables to all of her shows and has been joined by Amnesty International on this tour.